The Emir of Kano, Muhammad Sanusi II, has said Northern Muslims are still under colonisation, 60 years after independence. The emir made the statements at a public film screening of the docudrama on the Almajiri system titled “Duniya Juyi-Juyi” (How life goes) and the launching of the book “Qur’anic schools in Northern Nigeria” produced by a German, Hannah Hoechner. The event was held at the Aminu Kano Centre for Democratic Research and Training, Mambayya House, Kano, on Wednesday. While lamenting the classification of Qur’anic scholars as illiterates, and their itinerant students as ”out of school children”, he said the country has refused to recognise the five-century old Islamic system of education. Arguing that since literacy means “reading and writing” the almajiri should be recognised as literate. Almajiri is a system of Islamic education practiced in northern Nigeria. Almajiri is gotten from an Arabic word “Al-Muhajirun” which means a person who leaves his home in search of Islamic knowledge. The sysem has, however, been bastardised with many of the children left to beg for food and money on the streets by the Islamic teachers. Sanusi said if almajiri students can read and write in Arabic or Ajami (Hausa writing in Arabic text), they are literate. He recalled that almajiri system has been in existence for the past 500-600 years ago, when ”Emir Muhammad Rumfa of Kano used to send people to Borno and Mauritania to learn Qur’anic education and Islamic jurisprudence”. The emir traced a history of sabotaging almajiri system to the colonial era. He said in an effort to fight Islamic civilisation, ”a missionary Reverend Miller wrote a letter to Lord Luggard advising him to ban the use of Arabic and Ajami in official communication”. “It is high time for Muslims to pursue real independence because we are still under colonisation, because our culture and language does not have any value in the scheme of things. 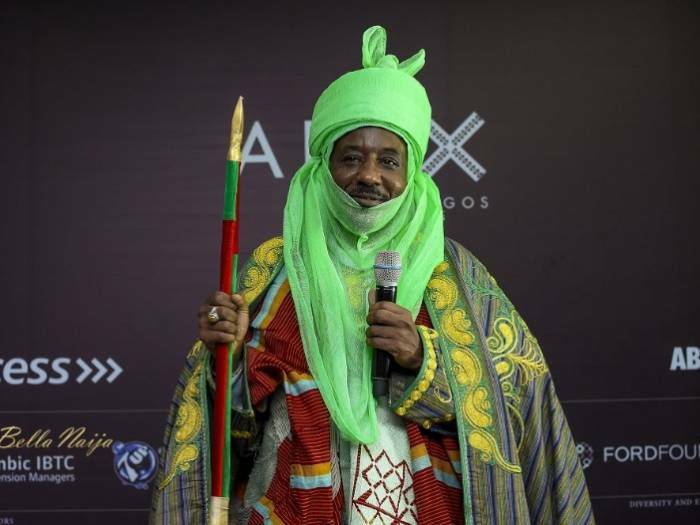 “No matter the number of Islamic books you read in Arabic or through almajiri system, as long as it is not English, you are illiterate according to Nigeria’s system of education,” Sanusi argued. To this end, Sanusi called for the review of education policy in Nigeria to capture the almajiri system. Sanusi also questioned the wisdom of making English language a pre-requisite for securing admission to study Arabic or Hausa in Nigerian universities. The emir also advocated the use of indigenous languages as medium of instruction in Nigeria’s tertiary institutions ”as done in China, Egypt, Malaysia and other developing countries”. “I am not saying English is not important, but I strongly disagree to narrow education to mastering English. I learnt English, and I am enjoying it. But mastering English alone is not education. In her remarks, the author said the book was extracted from her PhD thesis aimed at deconstructing misconceptions and counter negative stereotypes on Almajiri. She said the production process of the docudrama was done by almajiris between July-October 2011 on Thursdays and Fridays (school-free days). Ms Hoechner added that the almajiris had undergone training on how to write a script, direct film, handle a camera and other basics of film production before the commencement. Also speaking, the founder of the Almajiri Foundation, Yusuf Hassan, appealed to the federal government to address the movement of almajiri from rural to urban areas by establishing almajiri model school in each political ward of the country. The docudrama depicted tribulations and and prospects of almajiris ranging from hunger, exploitation and molestation, as well as the attainment of mastery of the Qur’an.